Dr. Siamak Nejati joined the Department of Chemical and Biomolecular Engineering of the University of Nebraska at Lincoln in 2016. He completed his B.S. in Chemical Engineering at Sharif University of Technology in 2004, and in 2007 he completed a M.S. degree there in Biotechnology. He received his Ph.D. in 2013 from Drexel University in Chemical Engineering. In 2013, he moved to Yale University as a postdoctoral research associate, working under the supervision of professors Menachem Elimelech and Chinedum Osuji, in the Department of Chemical and Environmental Engineering. At Yale, Dr. Nejati’s research focused on materials development for membrane-based separation processes. During his doctoral studies, he developed new methods to integrate polymeric materials into highly tortuous matrices. 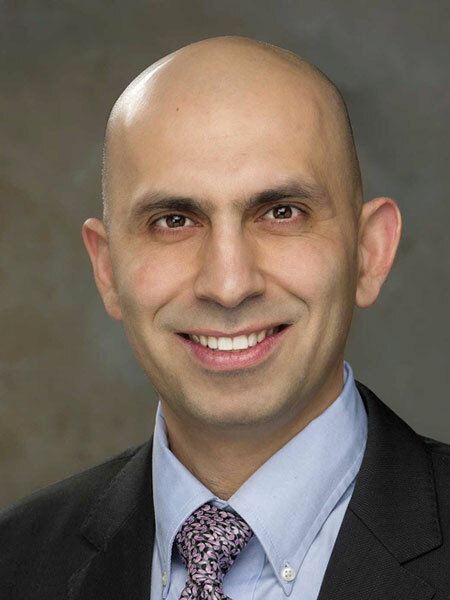 Dr. Nejati’s research interest centers on polymeric materials, nanostructures and coatings. He strives to develop economically viable and advanced methods for addressing the current challenges to water and energy supplies and security. Feng, X.; Nejati, S.; Tousley, M. E.; Cowan, M. G.; Wiesenauer, B. R.; Noble, R. D., Elimelech, M.; Gin, D. L. and Osuji, C. O. “Thin Polymer Films with Continuous Vertically Aligned 1-nm Pores: Towards Ideal Nanoporous Membranes” ACS Nano 2016, 10(1), 150-158. Perreault, F.; de Faria, A. F.; Nejati, S. and Elimelech, M. “Antimicrobial Properties of Graphene Oxide Nanosheets: Why Size Matters” ACS Nano 2015 9 (7), 7226–7236. Nejati, S.; Boo, C.; Osuji, C. O. and Elimelech, M. “Engineering Flat Sheet Microporous PVDF film for Membrane Distillation” Journal of Membrane Science 2015 492, 353-363. Nejati, S.; Minford, T.; Smolin, Y. Y. and Lau, K. K. S. “Enhanced Charge Storage of Ultrathin Polythiophene Films within Porous Nanostructures” ACS Nano 2014 8 (6), 5413–5422. Xiaokai, L.; Jing-Shun, H.; Nejati, S.; Guard, L. G.; Osuji, O. C.; Hazari, N. and Taylor, A. D. “Role of HF in Oxygen Removal from Carbon Nanotubes: Implications for High Performance Carbon Electronics” Nano letters 2014 14 (11), 6179-6184. Nejati, S. and Lau, K. K. S. “Pore Filling of Nanostructured Electrodes in Dye Sensitized Solar Cells by Initiated Chemical Vapor Deposition” Nano letters 2011 11 (2), 419–423.